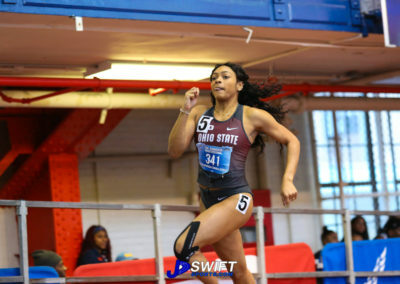 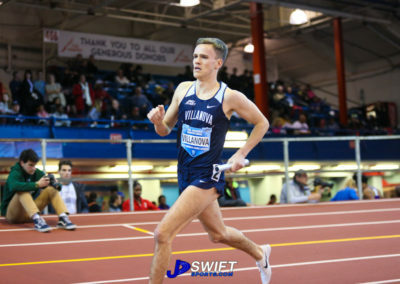 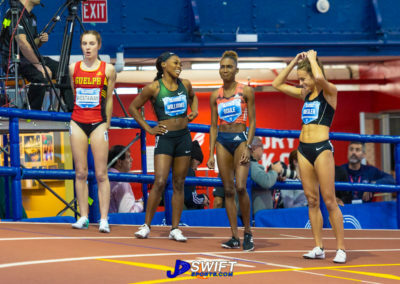 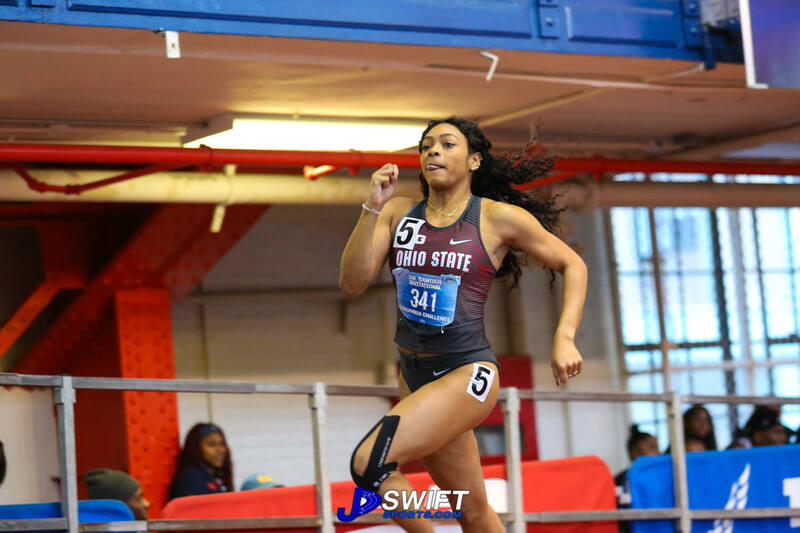 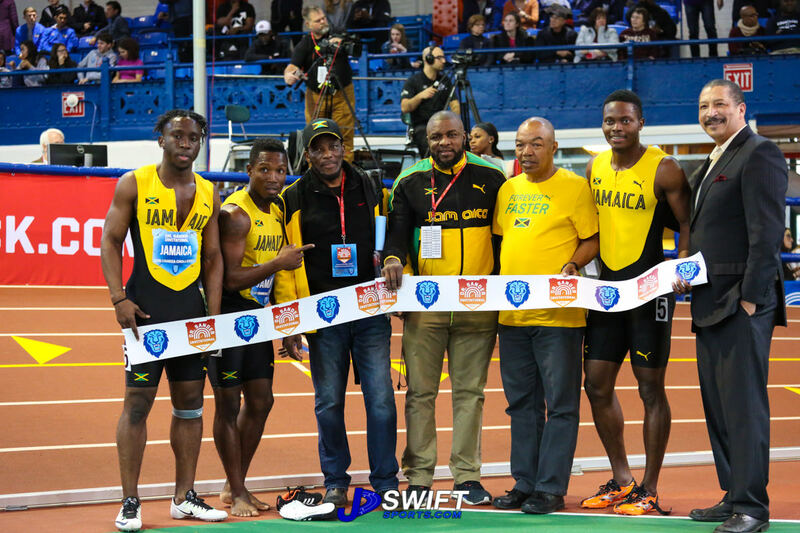 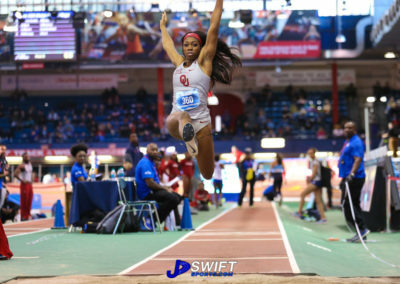 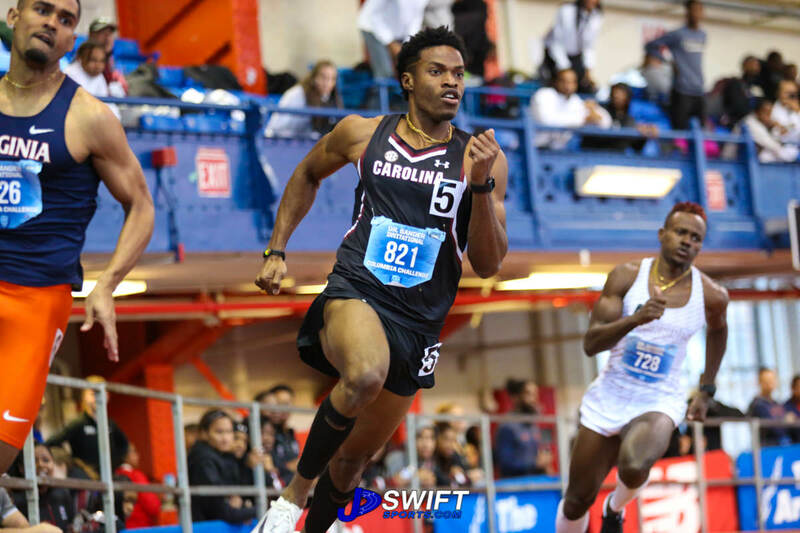 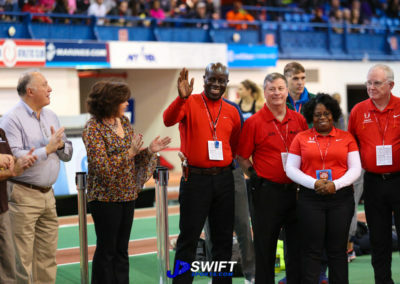 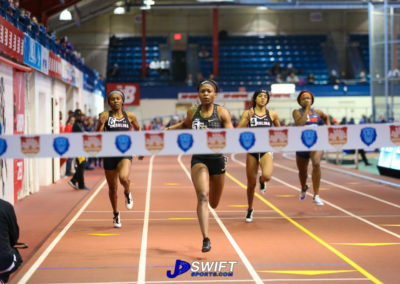 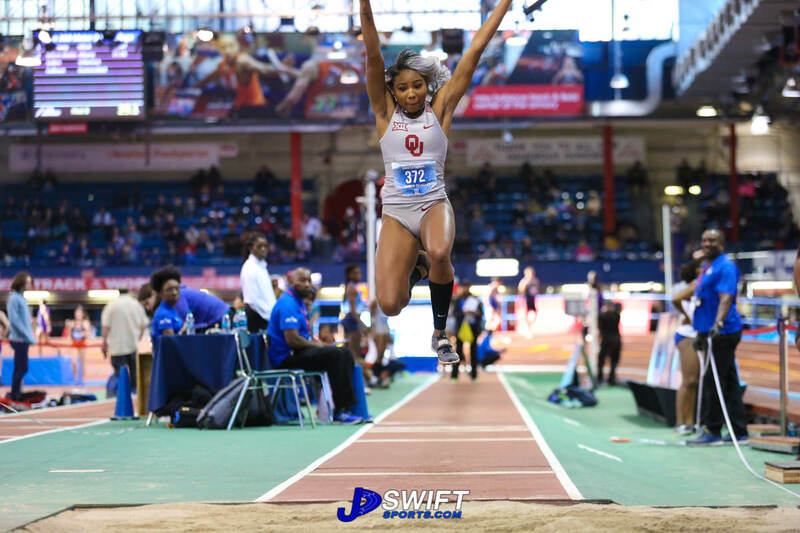 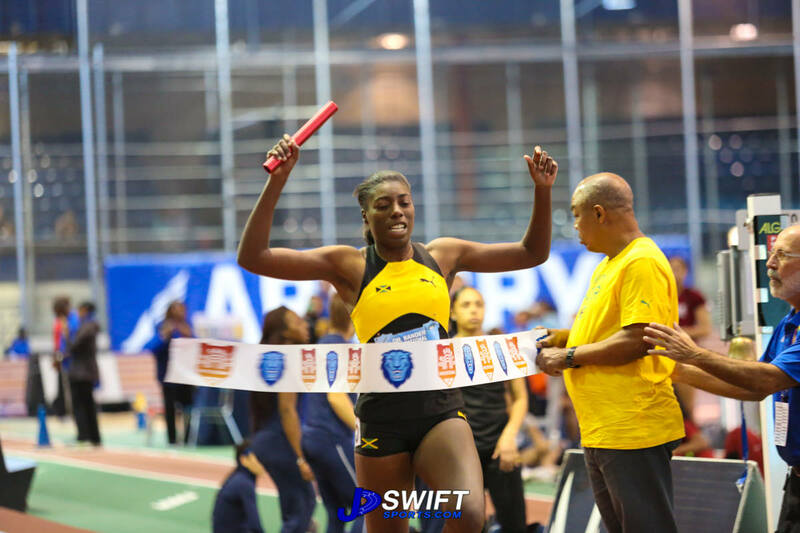 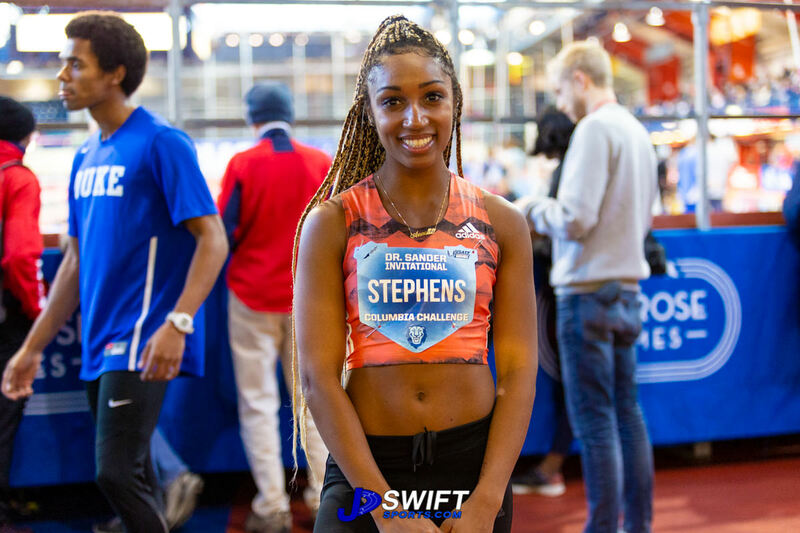 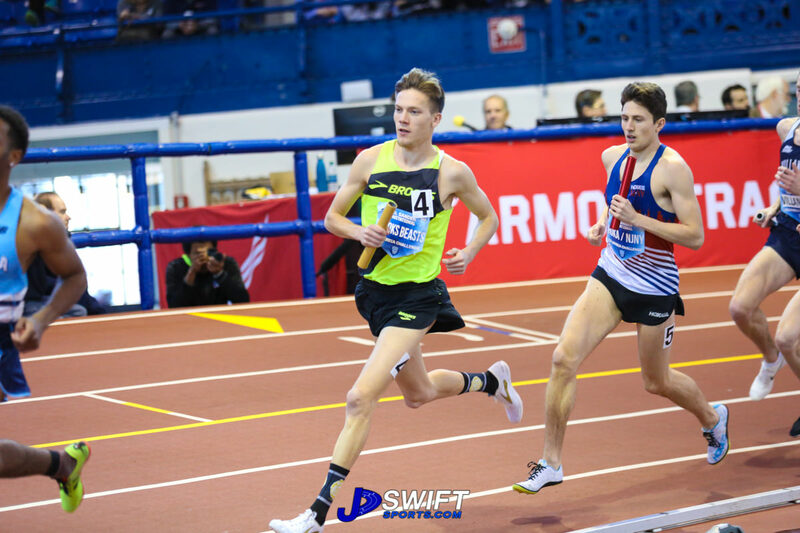 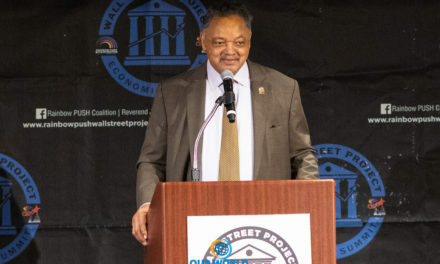 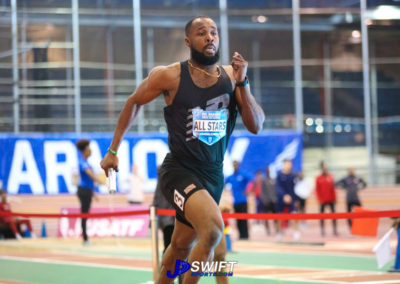 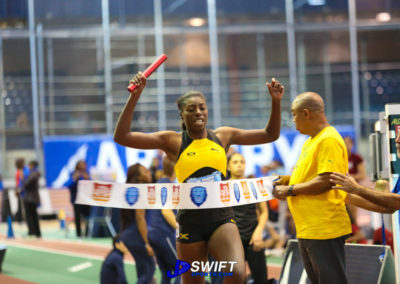 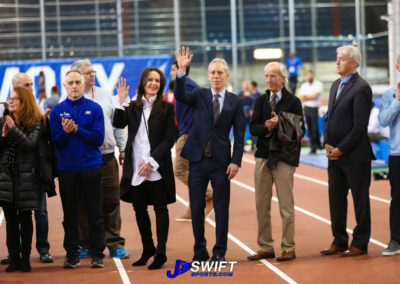 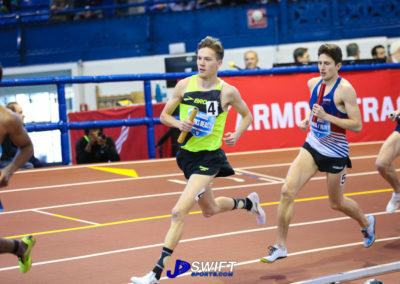 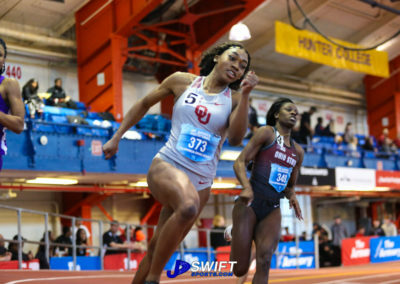 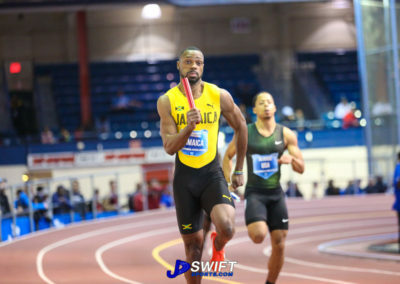 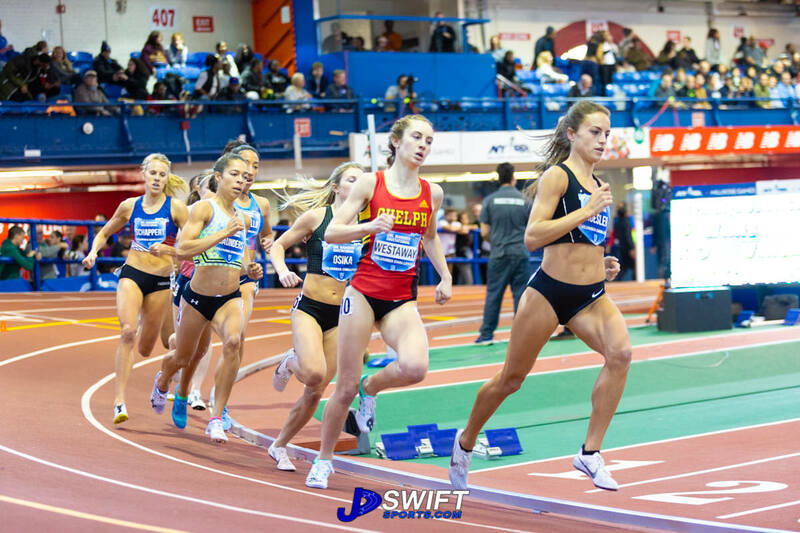 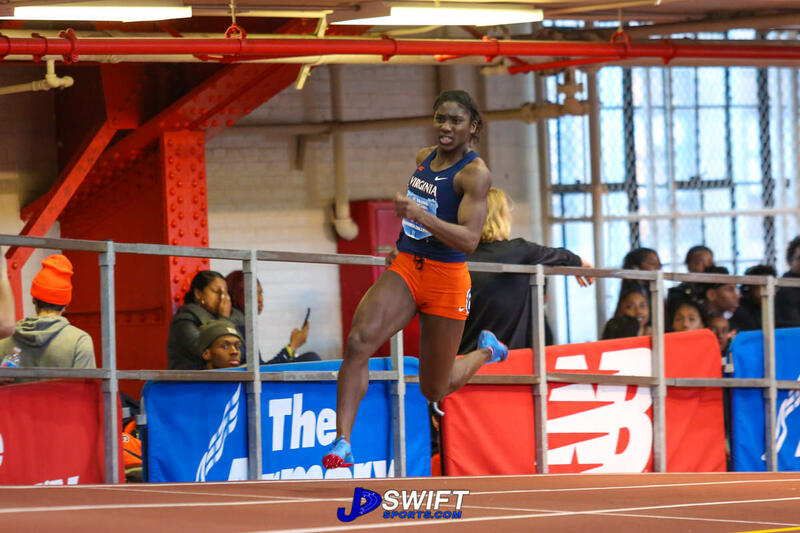 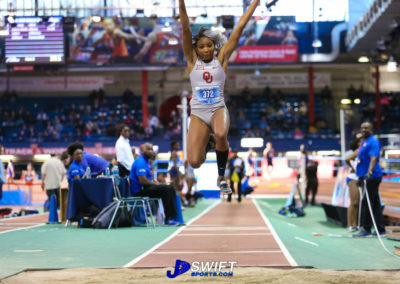 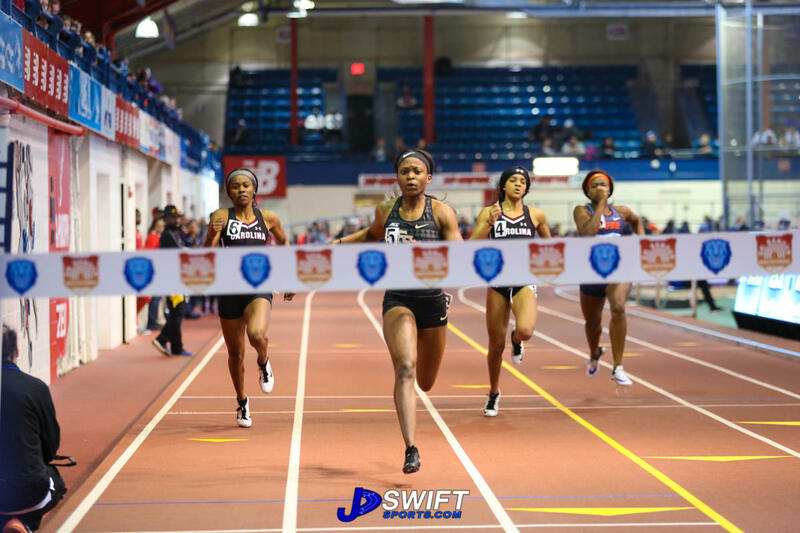 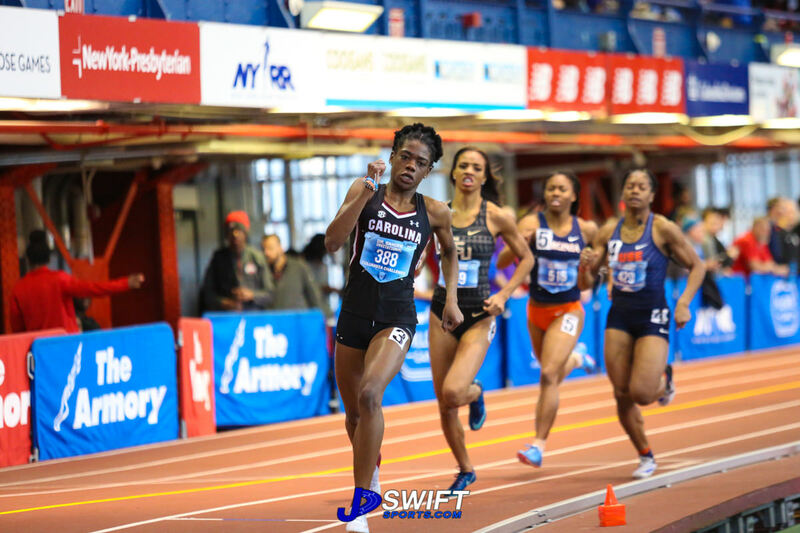 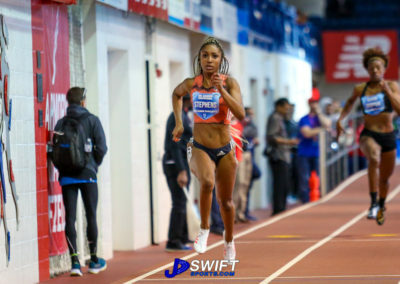 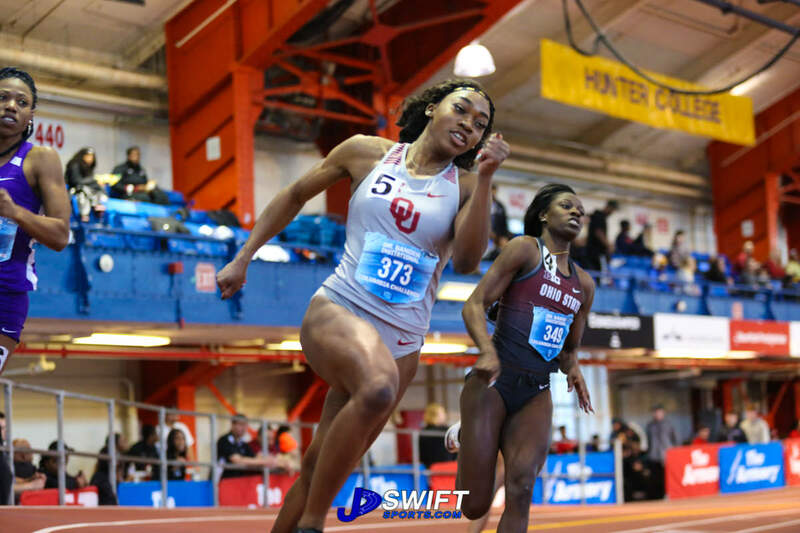 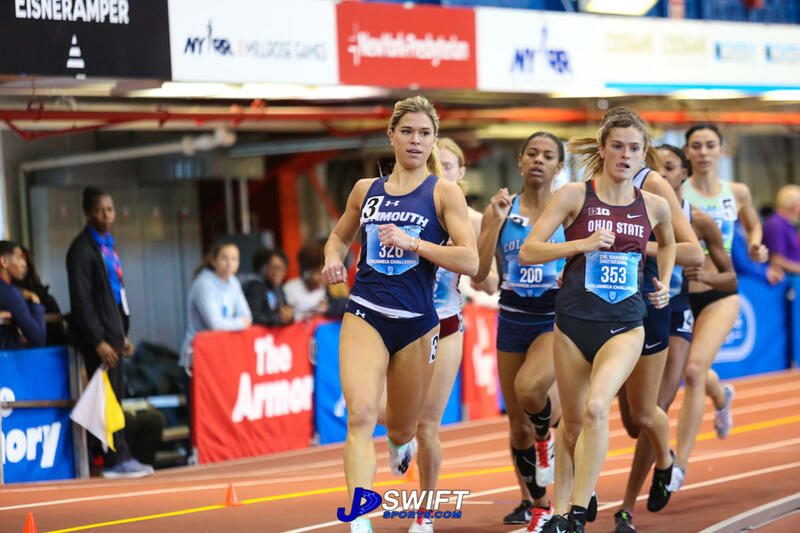 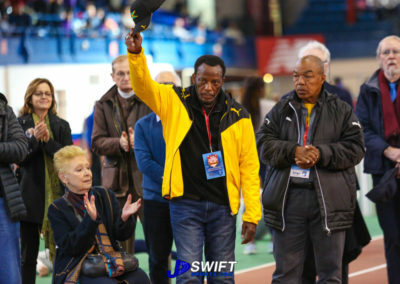 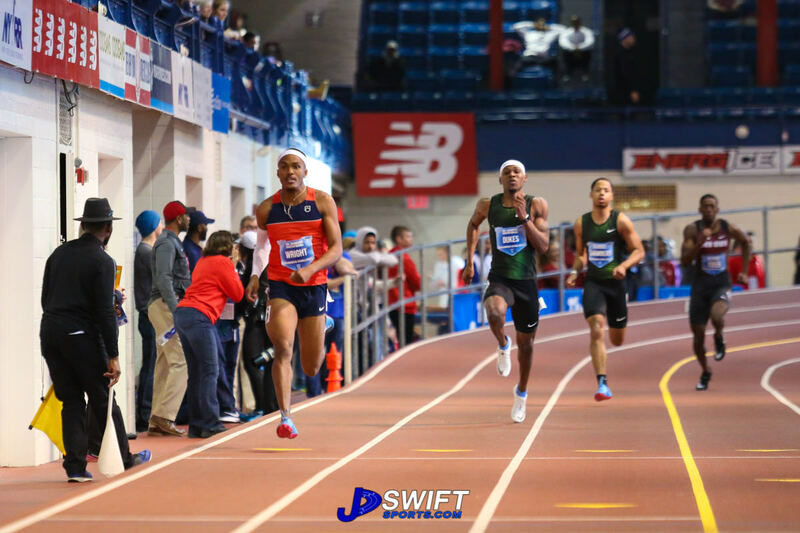 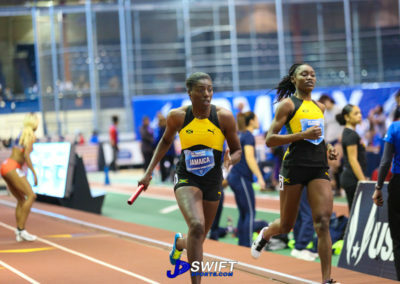 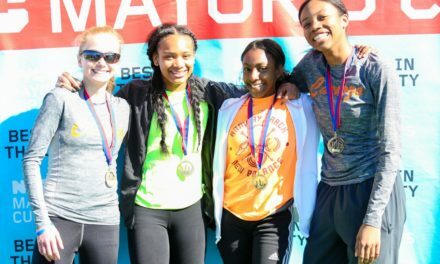 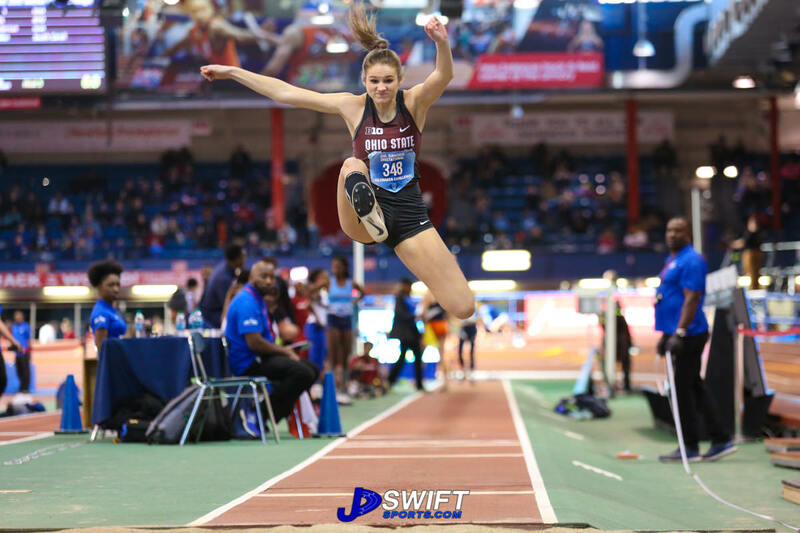 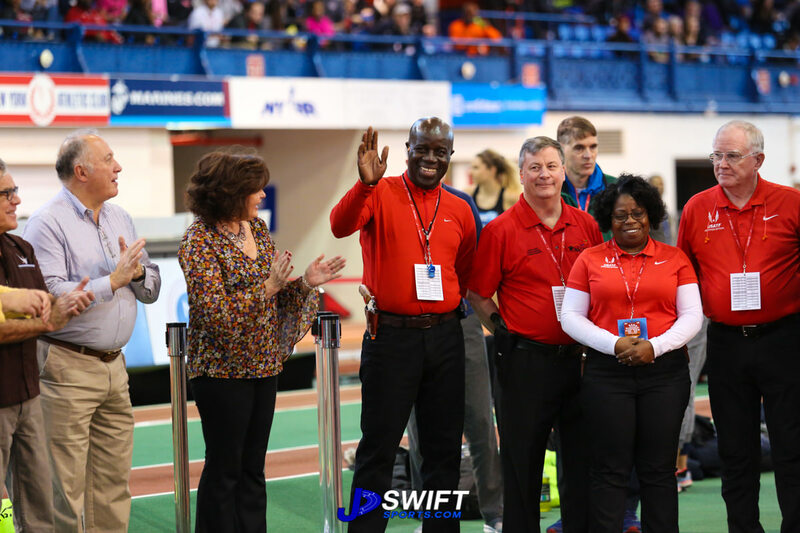 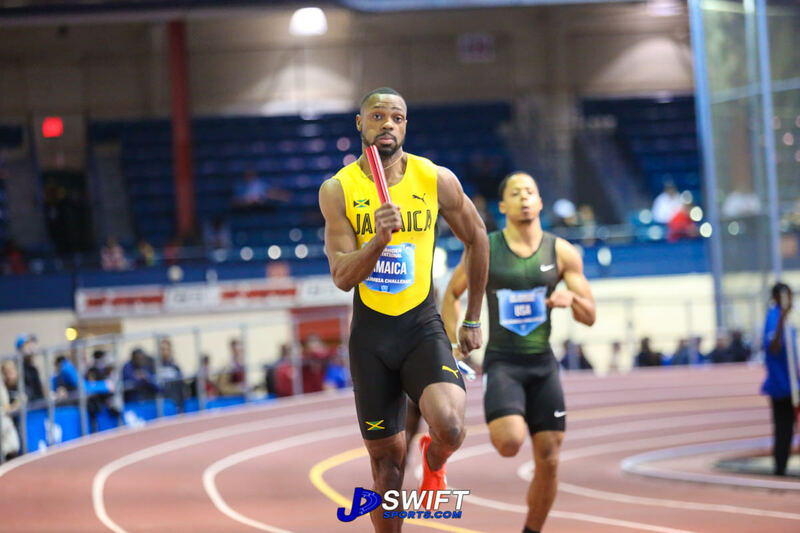 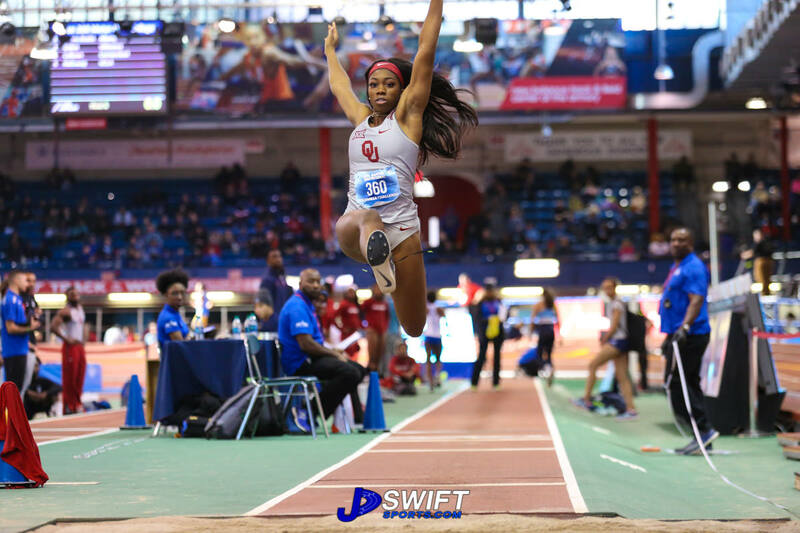 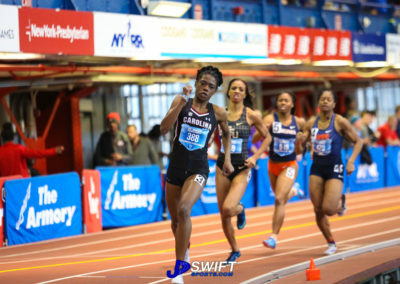 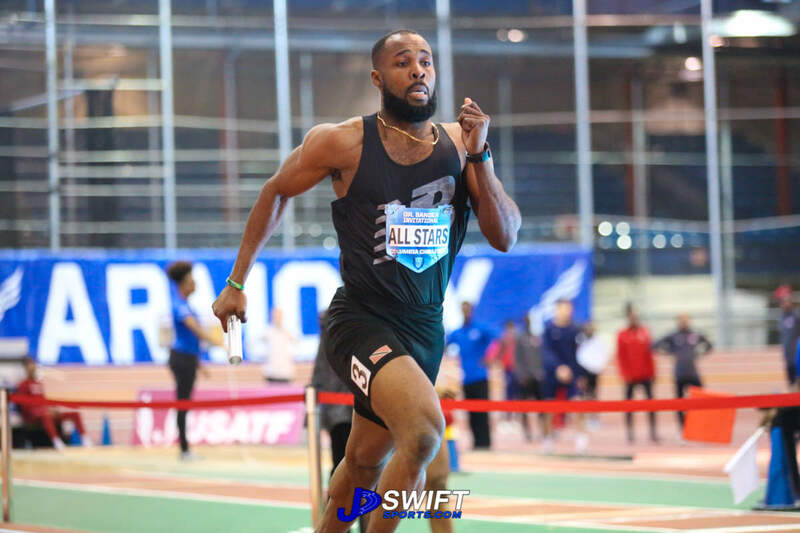 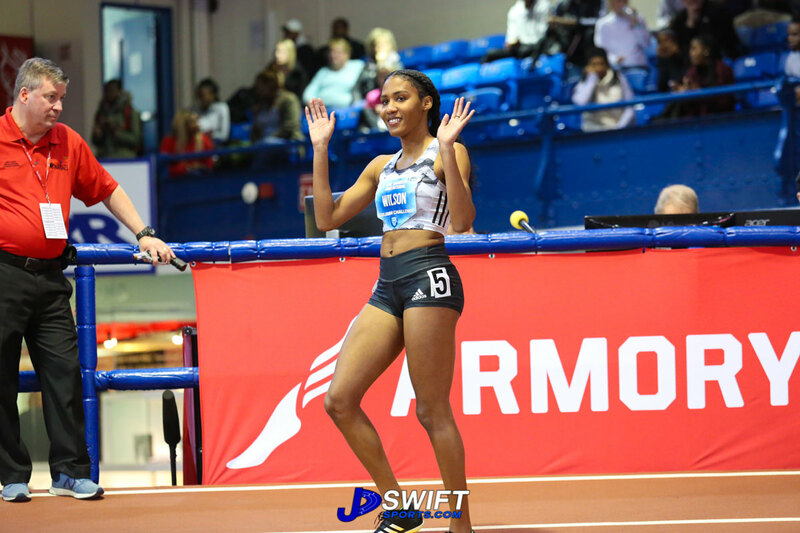 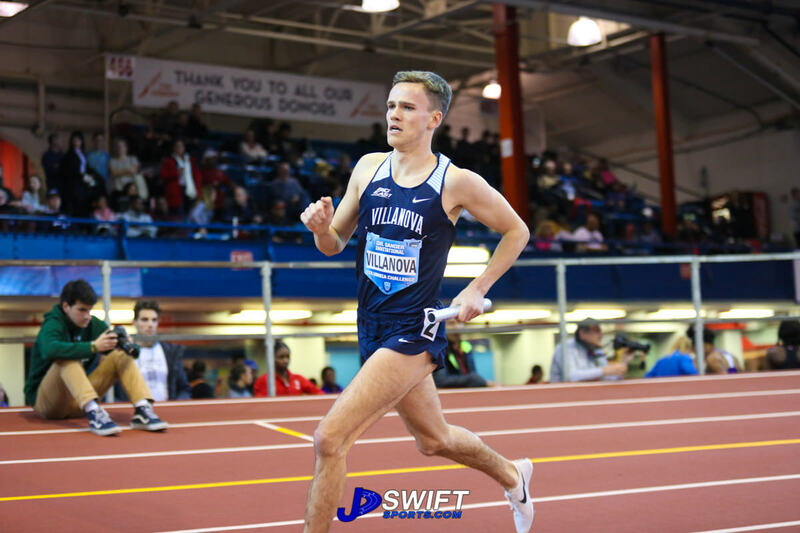 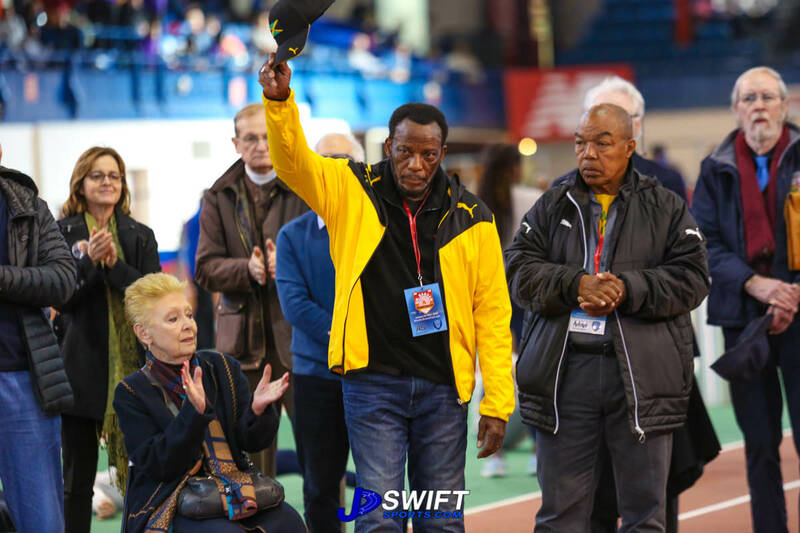 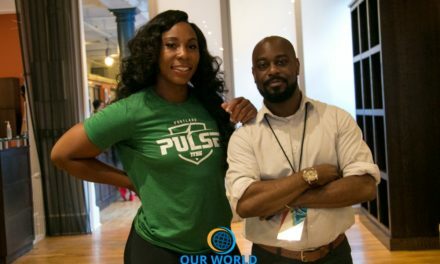 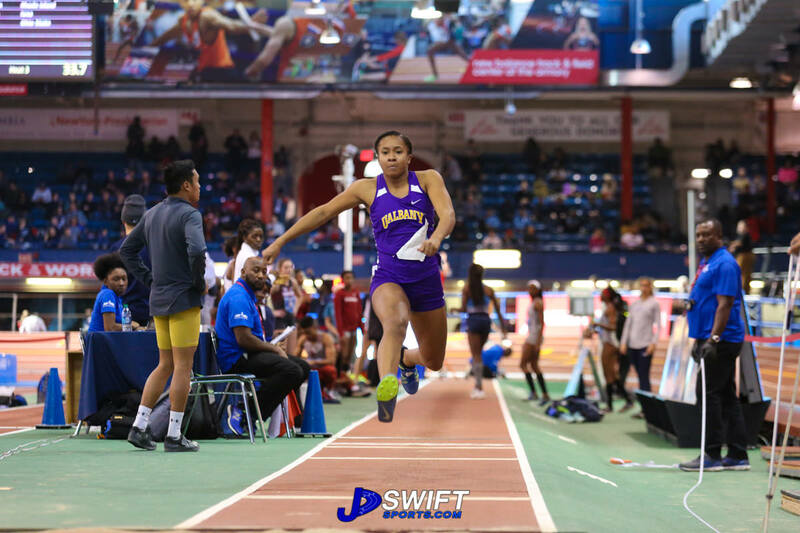 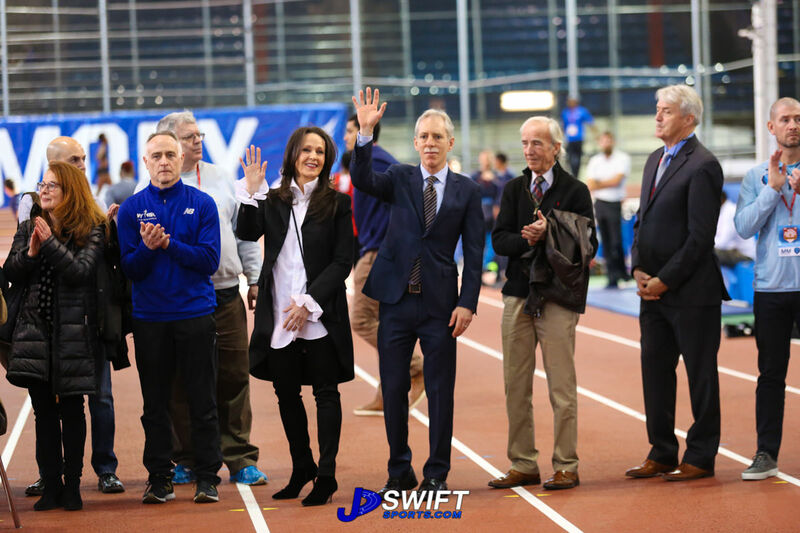 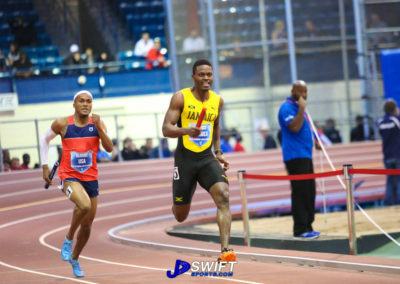 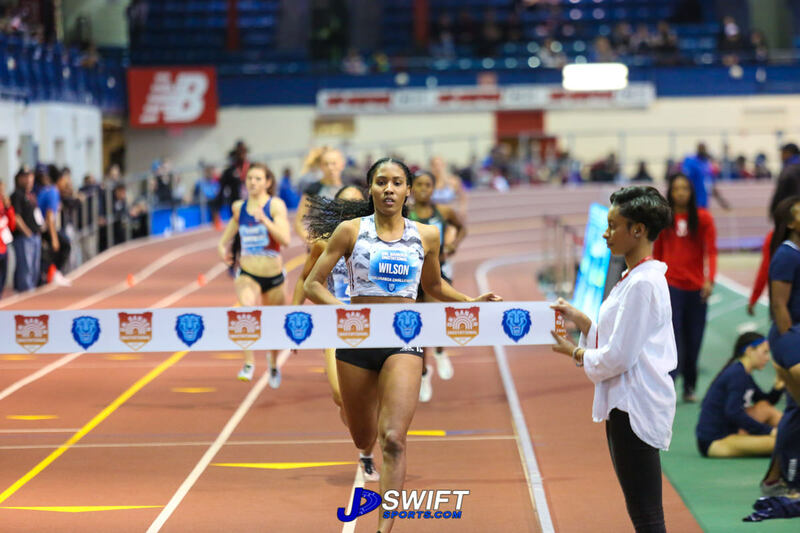 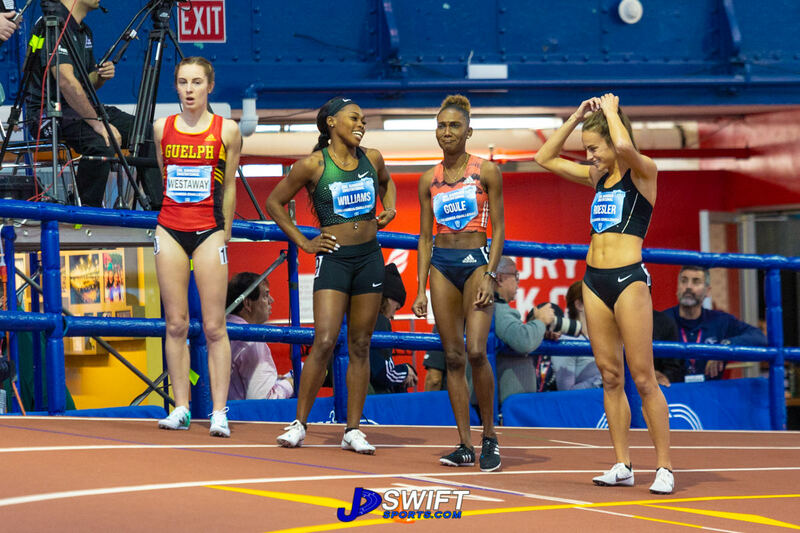 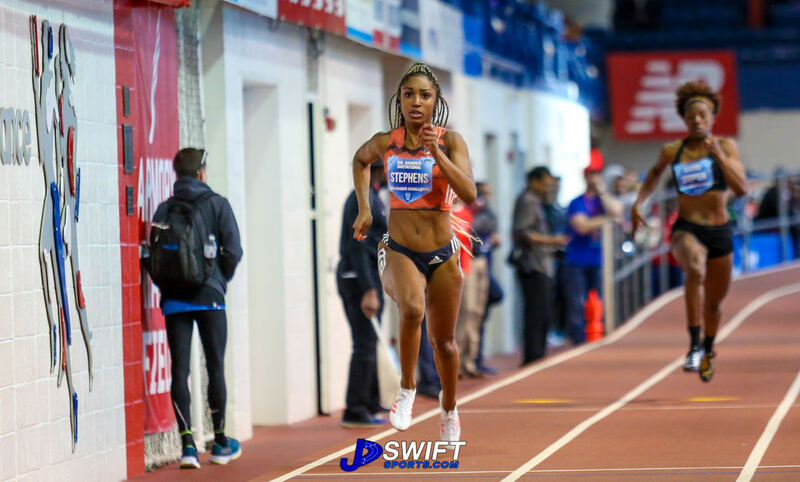 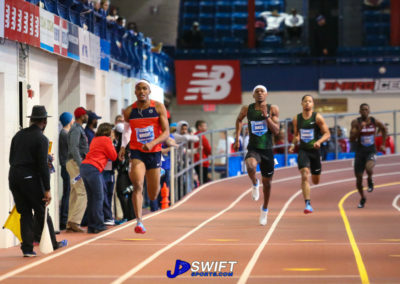 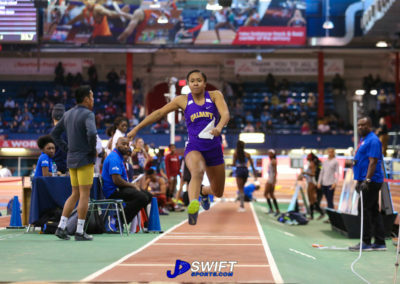 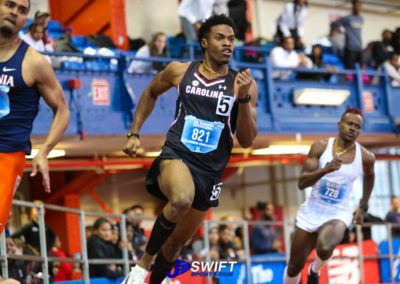 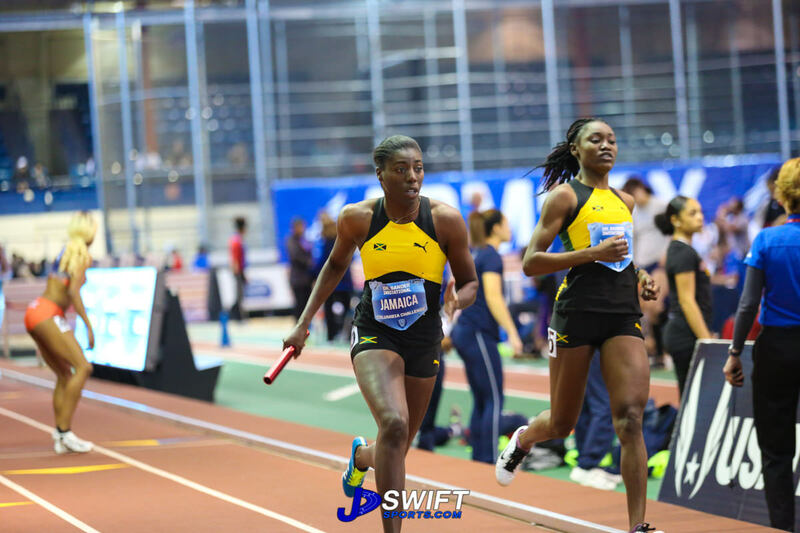 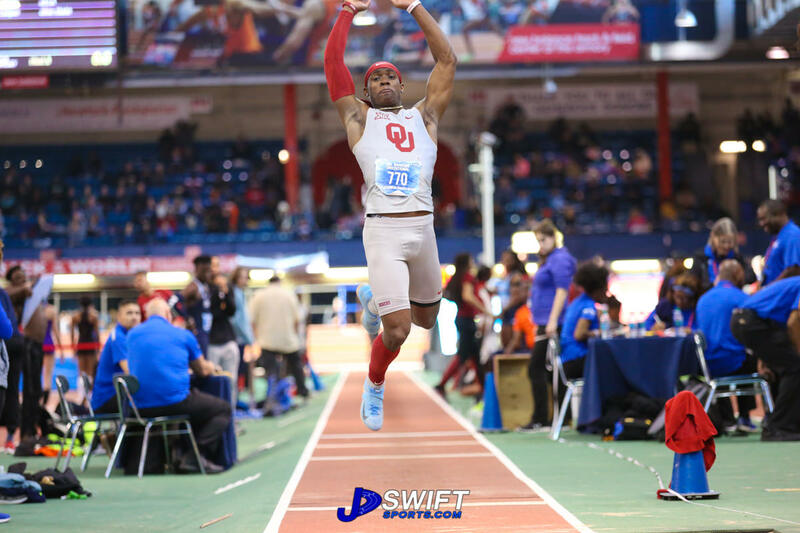 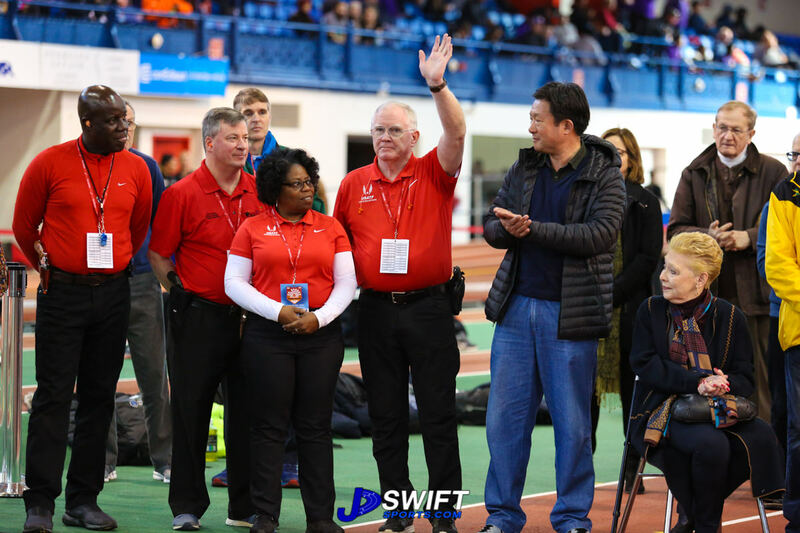 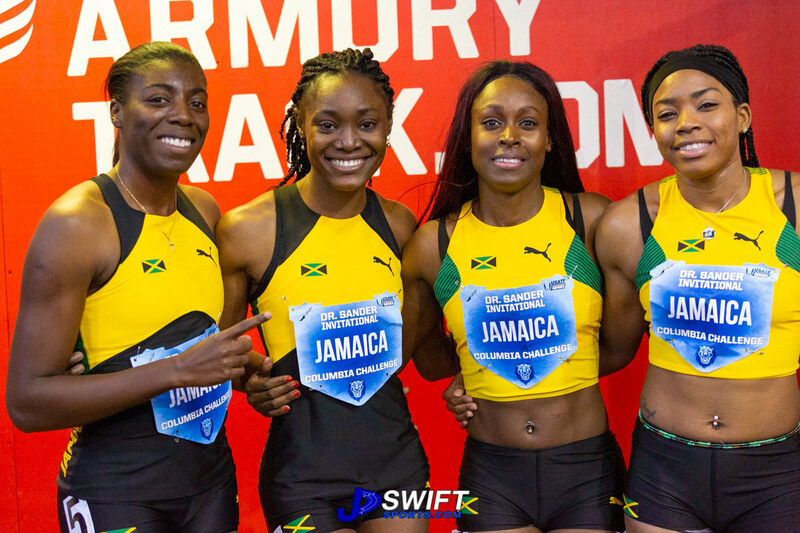 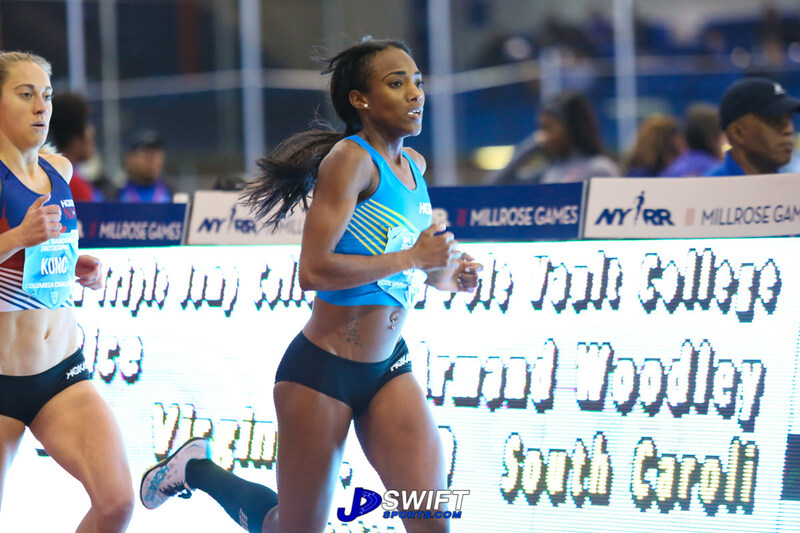 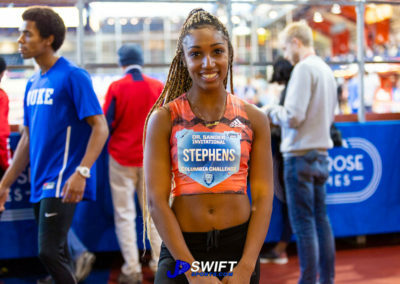 NEW YORK, January 26, 2019 – Both a world indoor men’s and national high school indoor girls’ record were broken during the 2nd annual Dr. Sander Invitational Columbia Challenge Saturday at The Armory’s New Balance Track & Field Center. 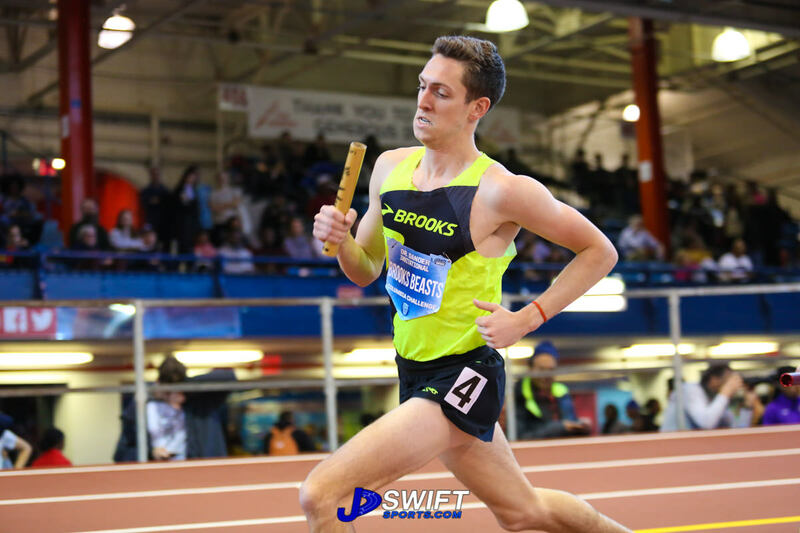 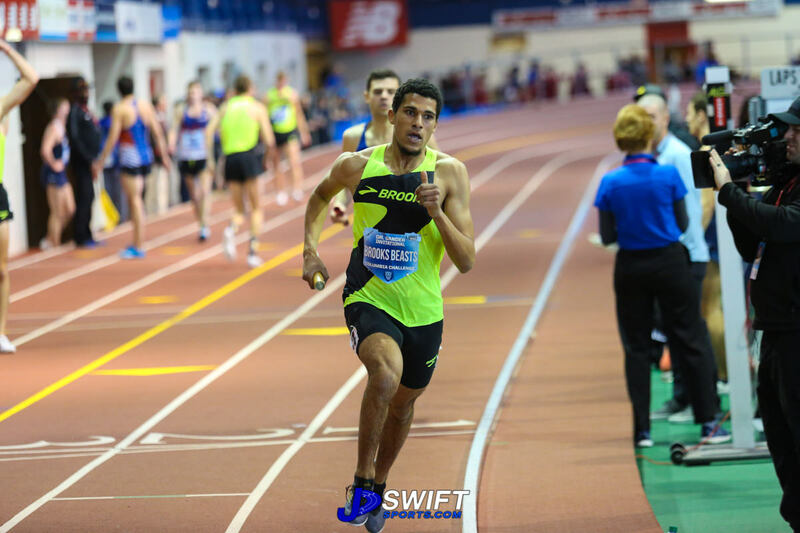 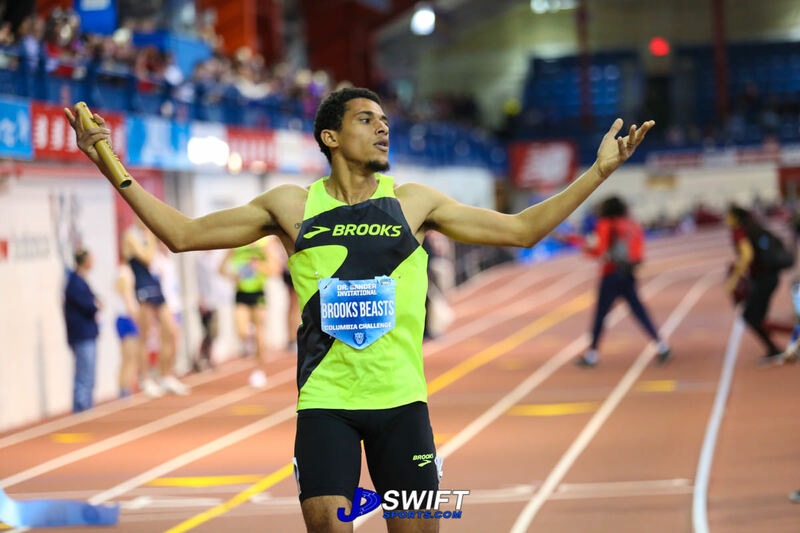 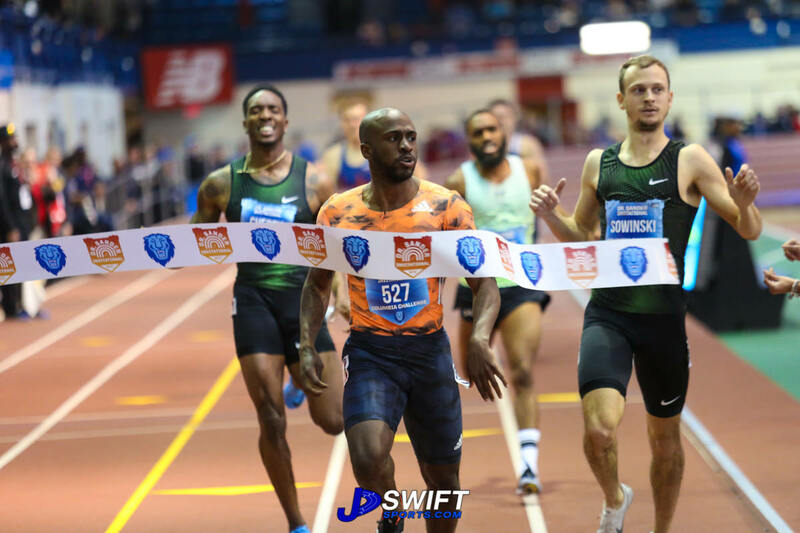 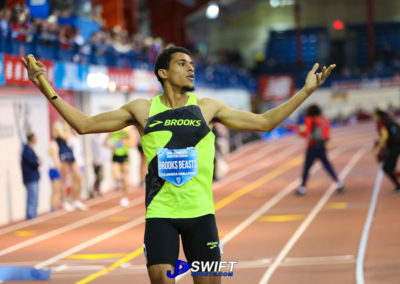 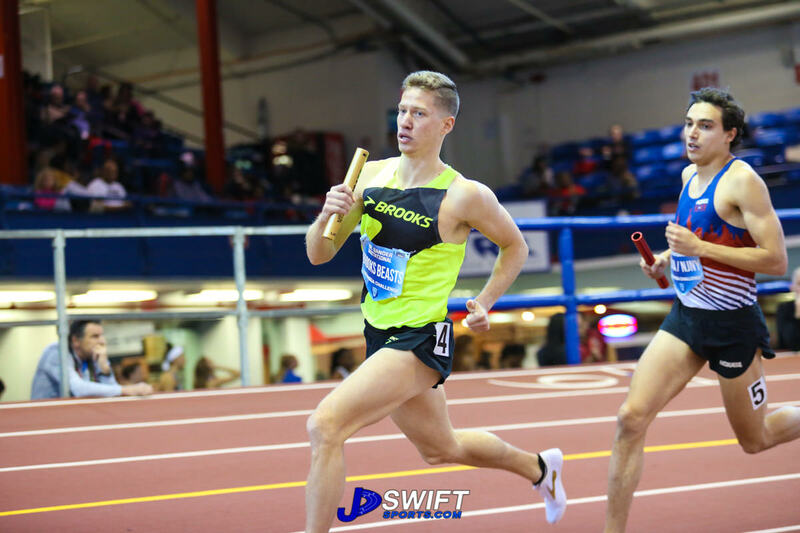 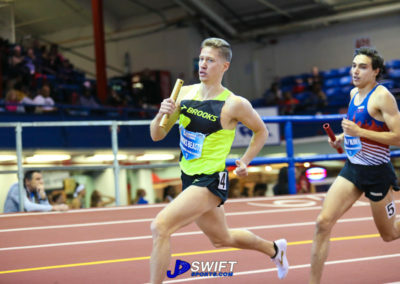 Seattle-based Brooks Beasts 4x1mile men’s relay team blazed the “Fastest Track in the World” with a time of 16:03.68, taking down HOKA NJ-NY Track Club’s previous mark of 16:12.81 that also was set at The Armory in 2017. 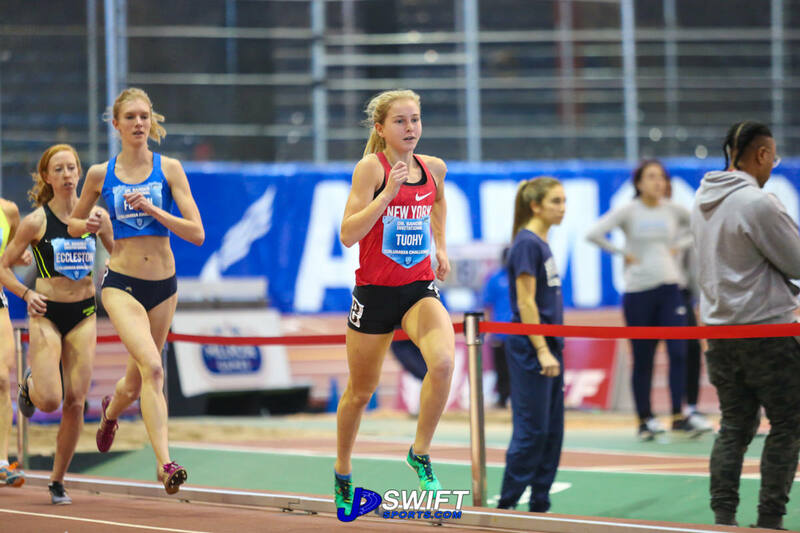 North Rockland High School (NY) 16-year-old junior running sensation Katelyn Tuohy set the national high school mark in the women’s 3,000m with a time of 9:01.81. 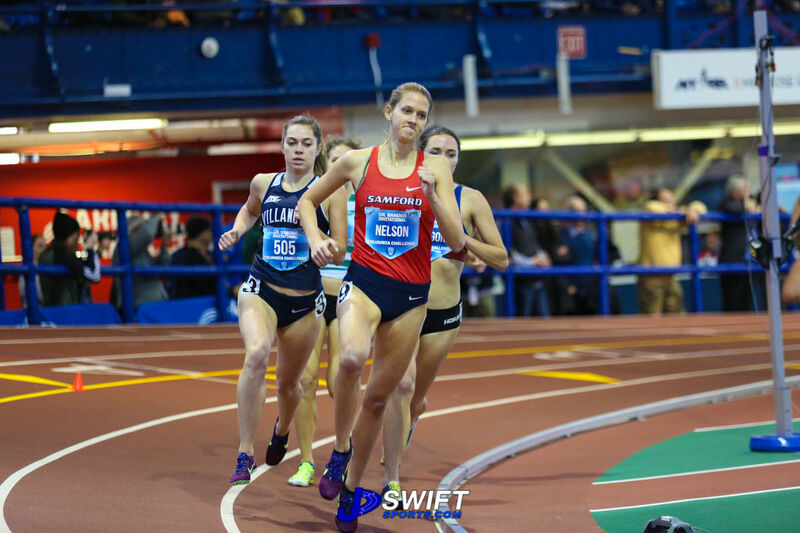 She bested the previous mark of 9:04.51 by Mary Cain (Bronxville High School, NY) in 2013 in Boston. 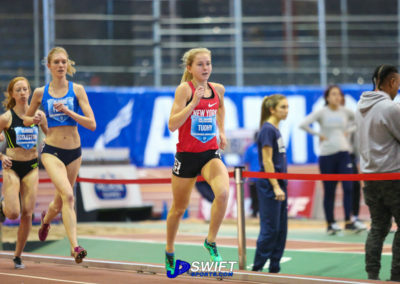 It was the first opportunity for Tuohy, the 2018 national high school cross country champion, to compete against professionals. 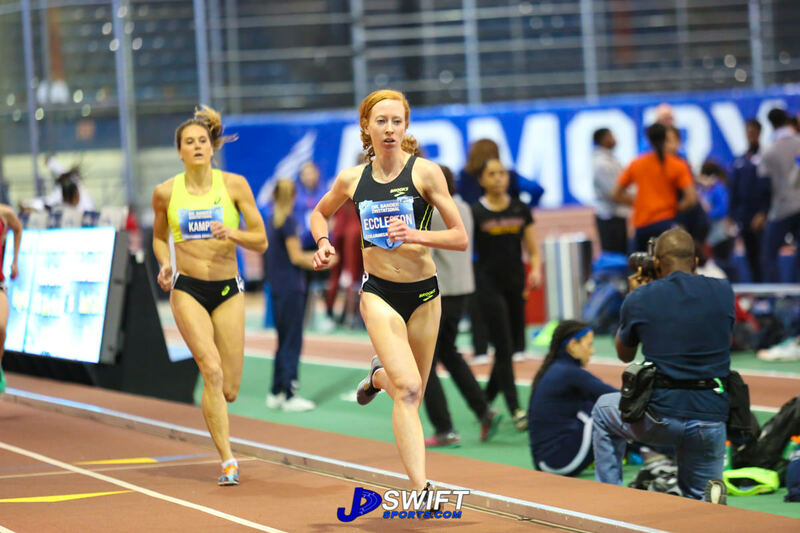 “I was having a great time out there,” said Tuohy who finished third behind winner Amanda Eccleston’s 8:56.68. 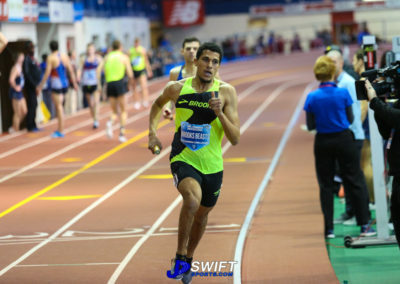 “I was so close to breaking 9 minutes, but that will give me motivation for the future. 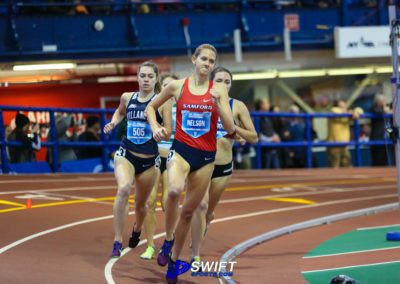 Next up for Tuohy is a return to The Armory to compete in the girls’ high school mile in the 112th NYRR Millrose Games on Saturday February 9th. 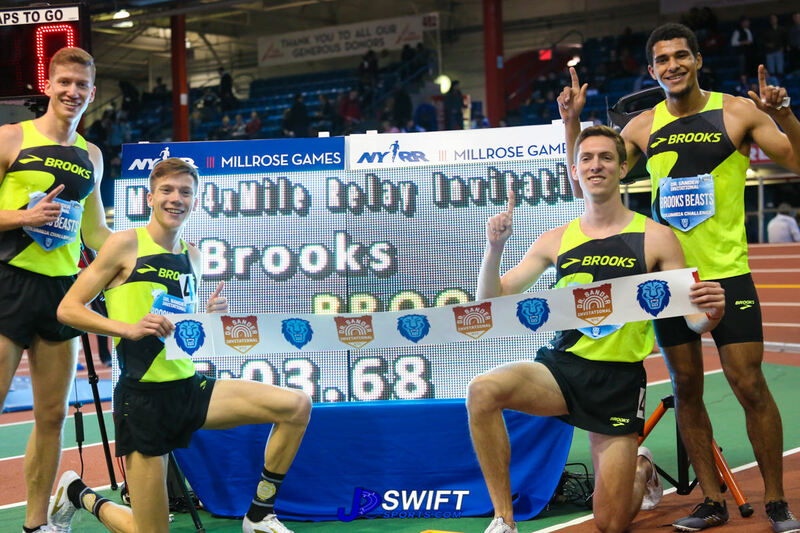 The Brooks Beasts Team of David Ribich, Henry Wynne, Brannon Kidder and anchor Izaic York ran much of the race toe-to-toe with HOKA NJ-NY Track Club until York took control midway through his mile anchor leg. 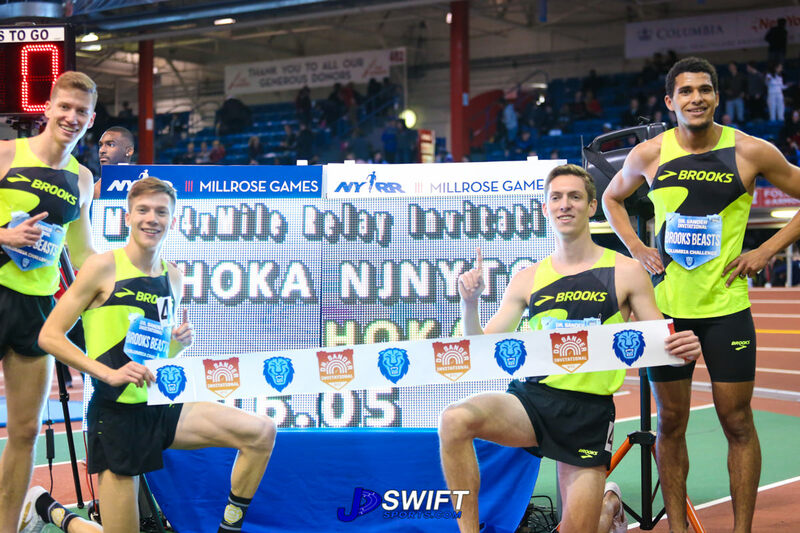 HOKA NJ-NY finished at 16:16.05. 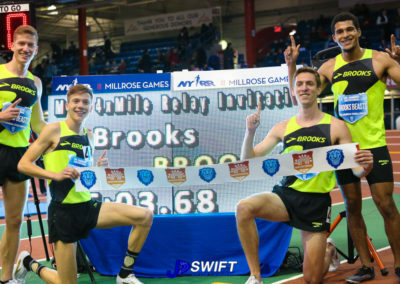 Brooks Beasts coach Danny Mackey told the four runners in October they would break the 4x1mile record. 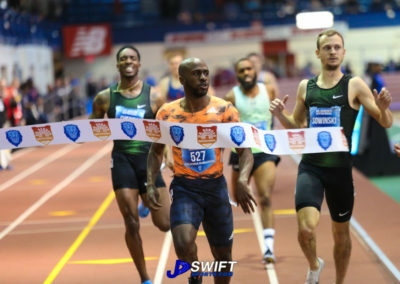 York’s three teammates were on the track cheering him on as he headed for the finish line. 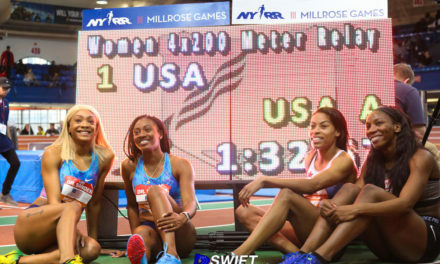 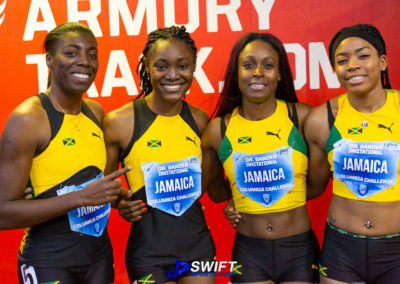 The team was convinced before they stepped on The Armory track that the record was theirs. 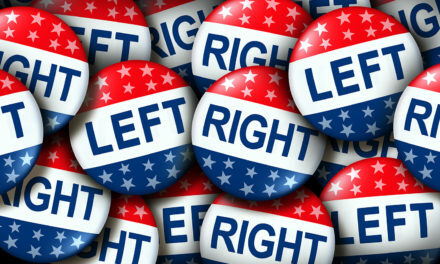 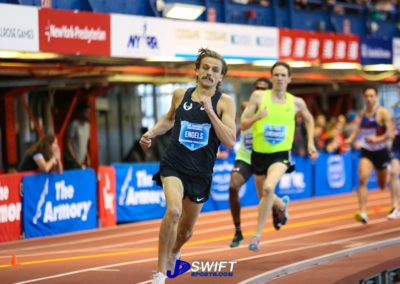 “We had a confidence going into this,” said Kidder, who ran the third leg. 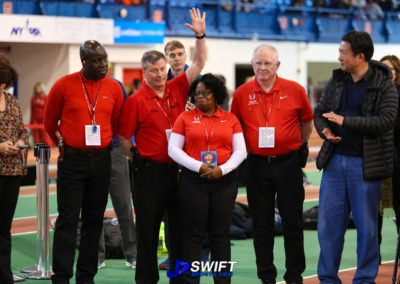 “Our whole team is healthy right now. 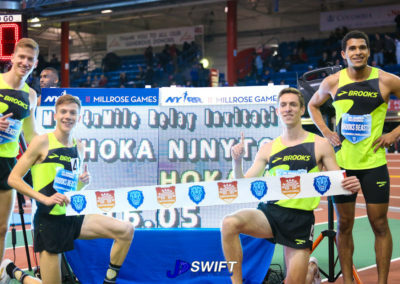 There were three other guys who could have been on this relay (team) right now. 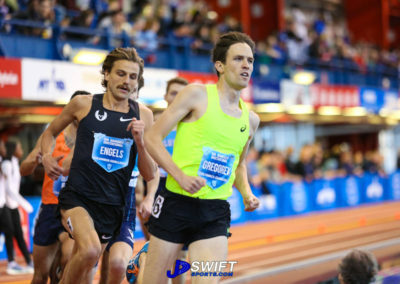 We knew we had great milers. 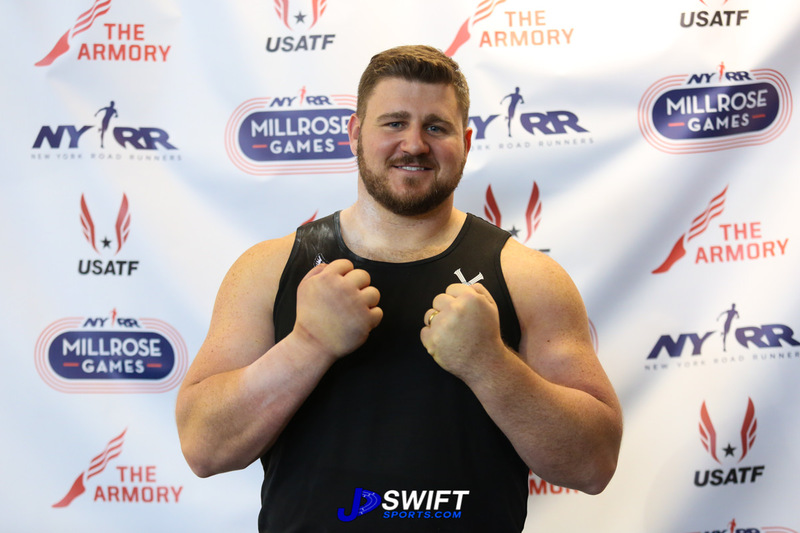 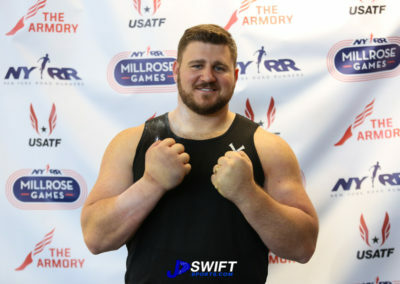 U.S. Olympic silver medalist Joe Kovacs performed for the first time at The Armory and didn’t disappoint The Armory crowd as he won the shot put event with a 68 feet, 1.7 inches throw. 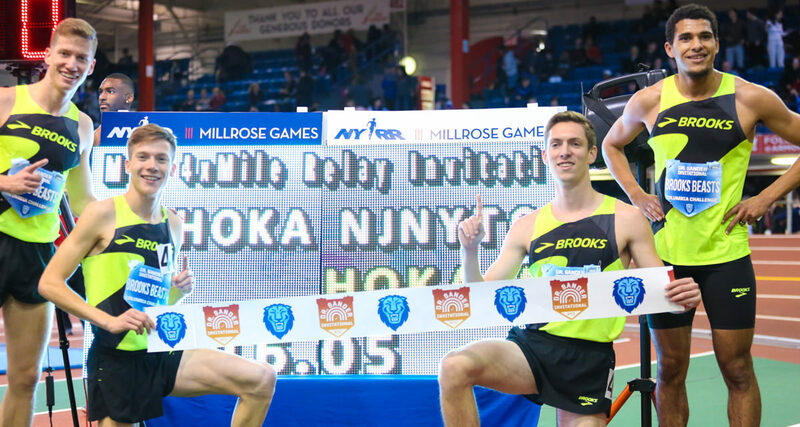 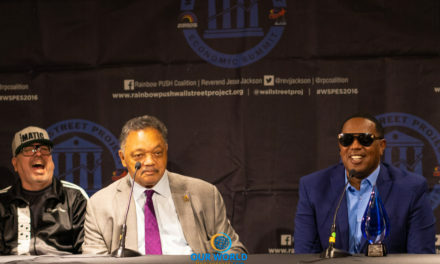 He’ll return to The Armory for the NYRR Millrose Games where he’ll throw in the center of the 200-meter track against a strong field including 2016 USA Olympic gold medalist Ryan Crouser. 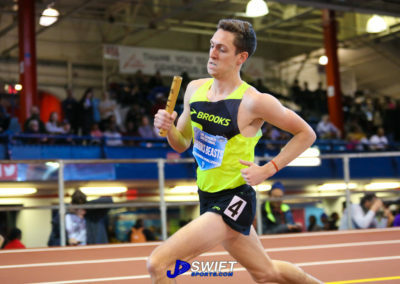 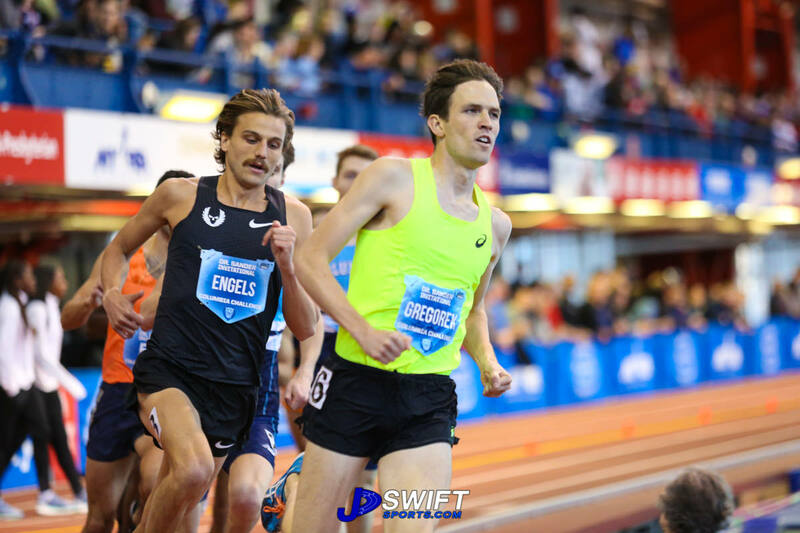 Outstanding USA miler Craig Engels also will return to The Armory in two weeks following an impressive victory. 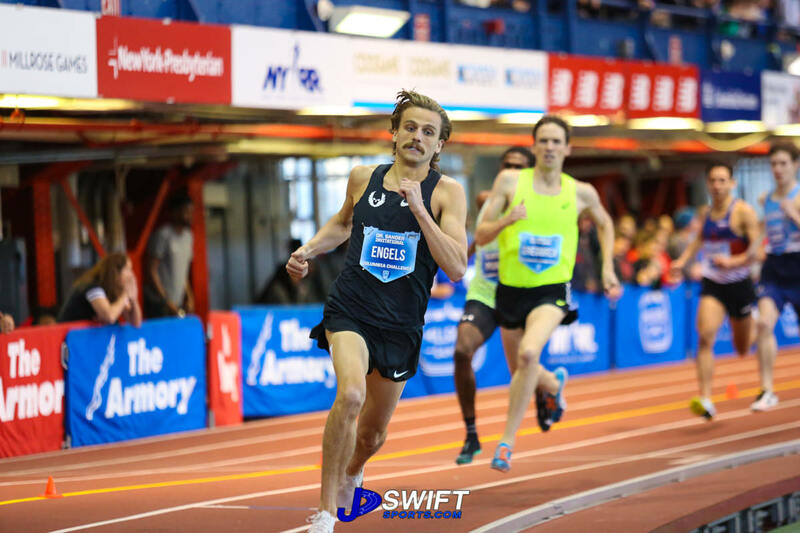 Engels won the men’s 1,000m with a 2:18.98, the fastest time in the world this season, a good tune-up for his NYRR Wanamaker Mile appearance. 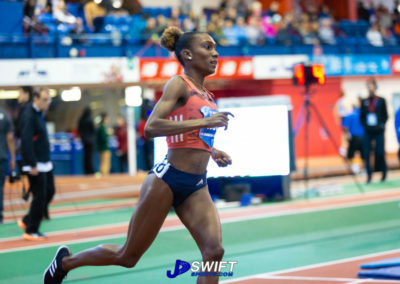 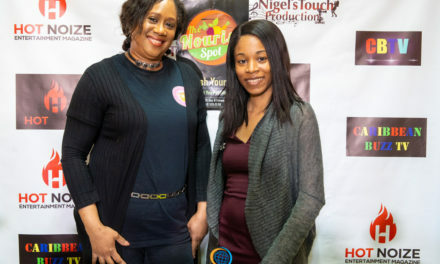 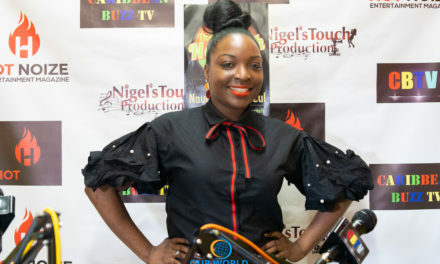 Jamaica middle-distance star Natoya Goule, owner of the third fastest 800m in the world for 2018, turned in an outstanding performance with a 2:37.55 to win the women’s 1,000m. 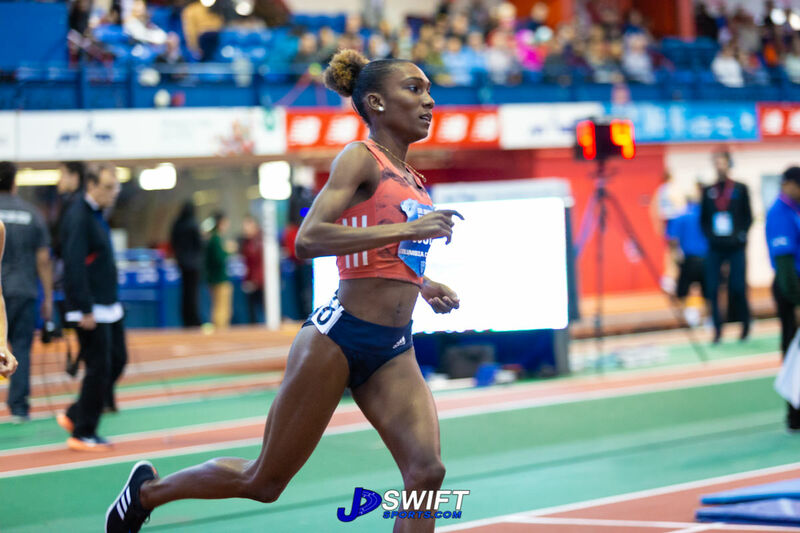 Ajeé Wilson won the women’s 600m with a 1:25.91 time and will be back in two weeks to defend her women’s 800m American record. 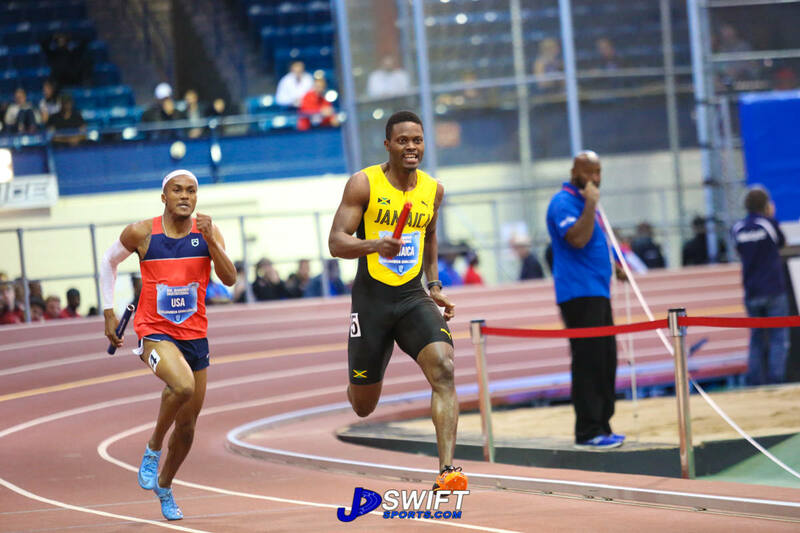 Interestingly, Wilson’s 600m was the fastest in the world this season, which is previously held by Goule. 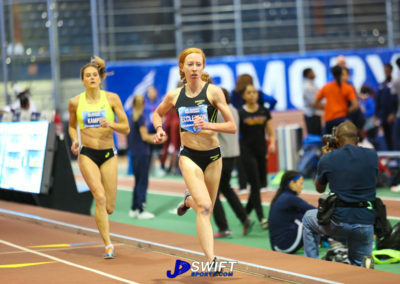 Wilson and Goule will be competing head to head in the Jack and Lewis RudinWomen’s 800m at the NYRR Millrose Games. 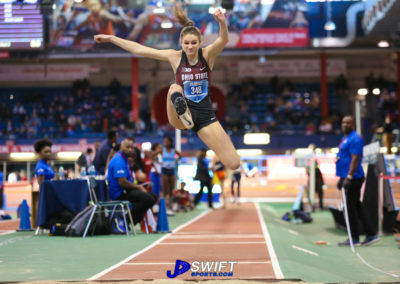 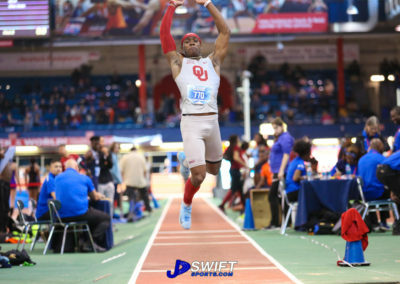 Saturday’s meet included 14 professional events mixed in with The Armory’s signature college event. 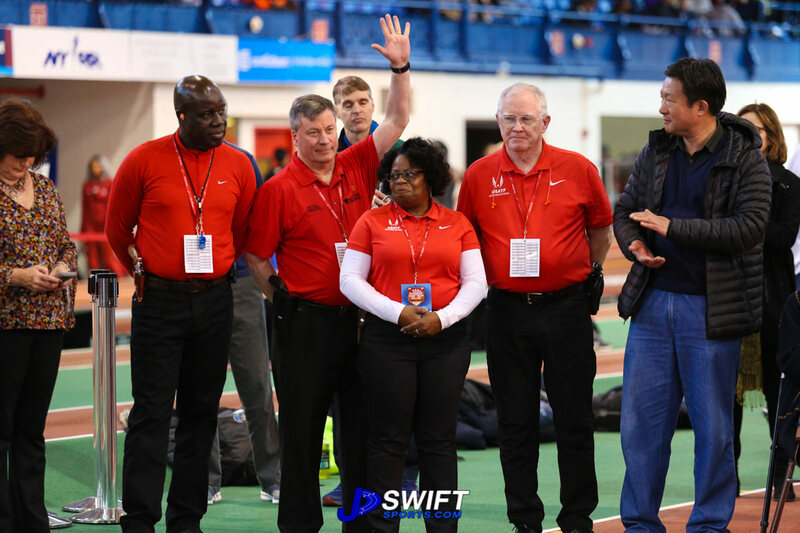 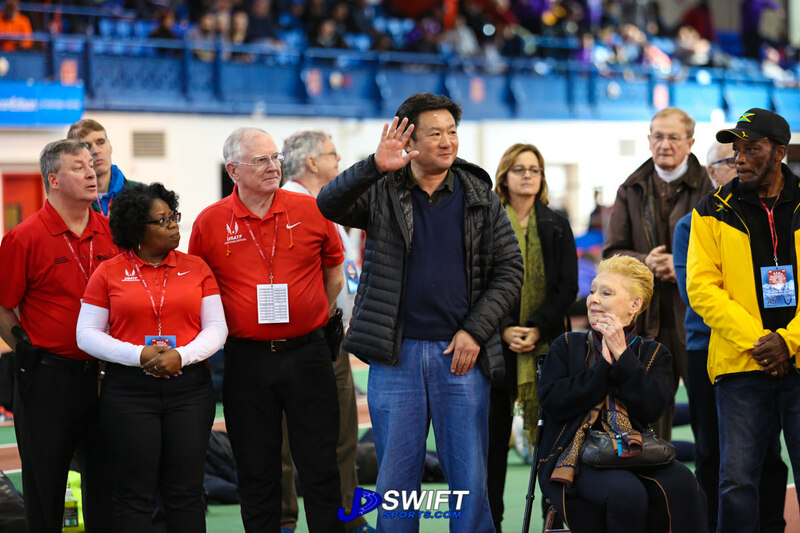 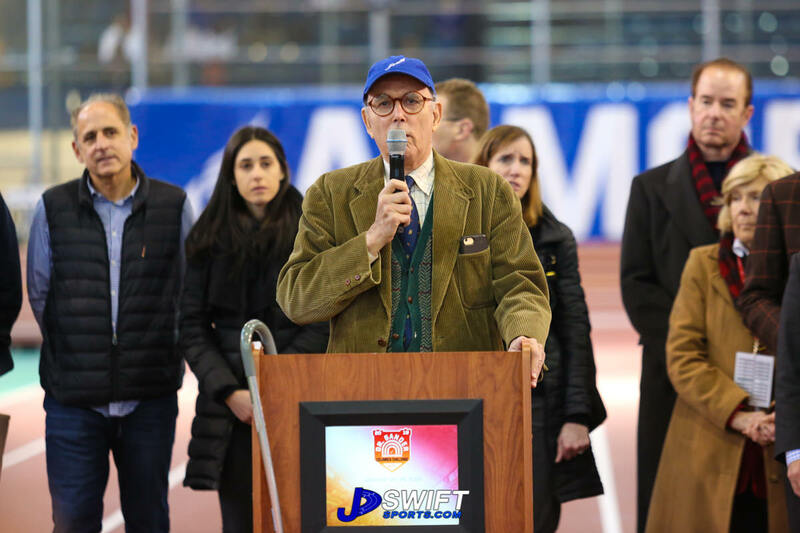 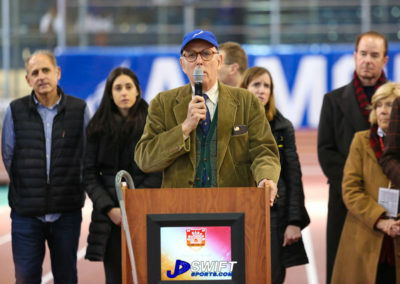 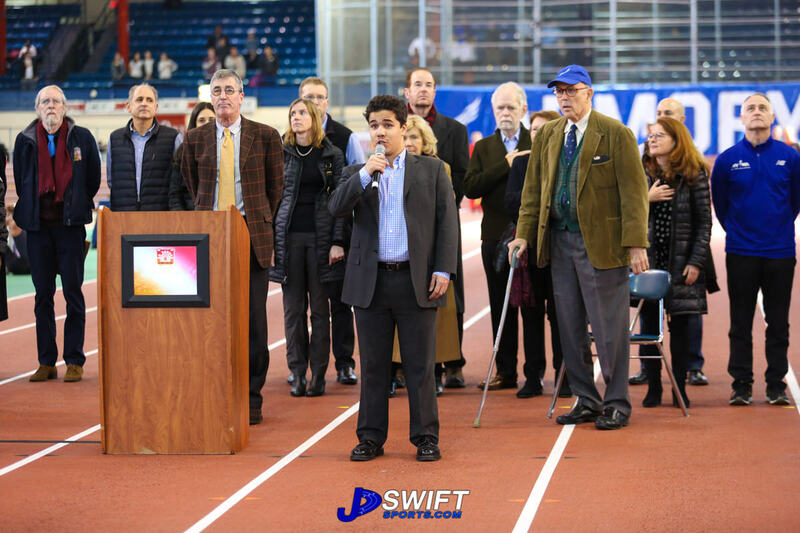 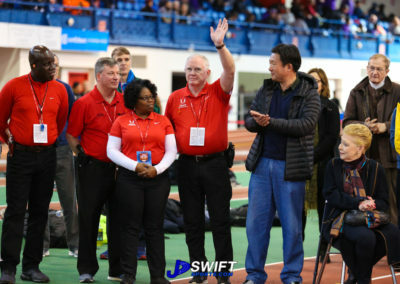 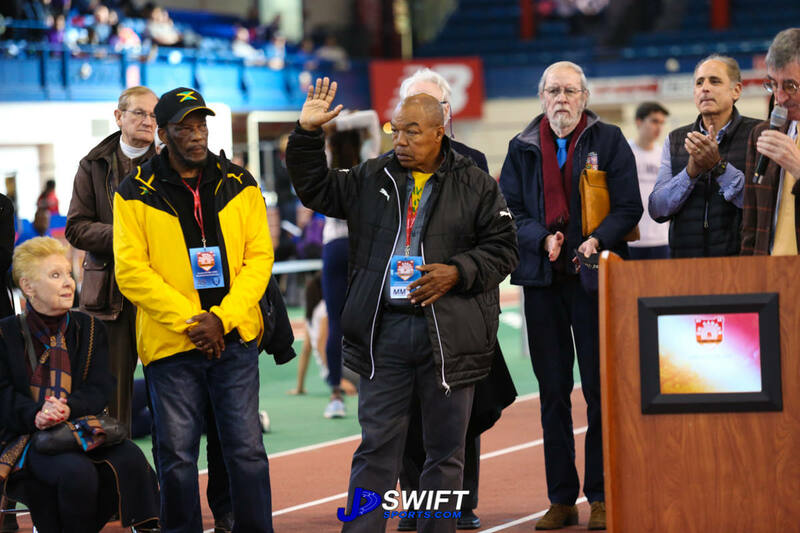 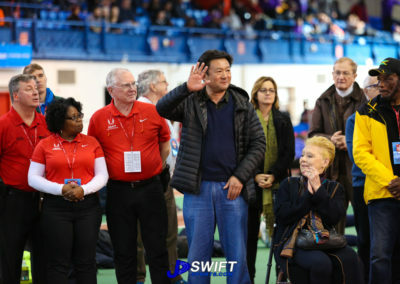 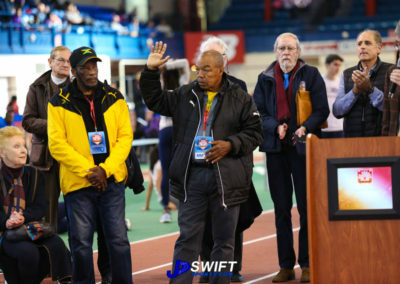 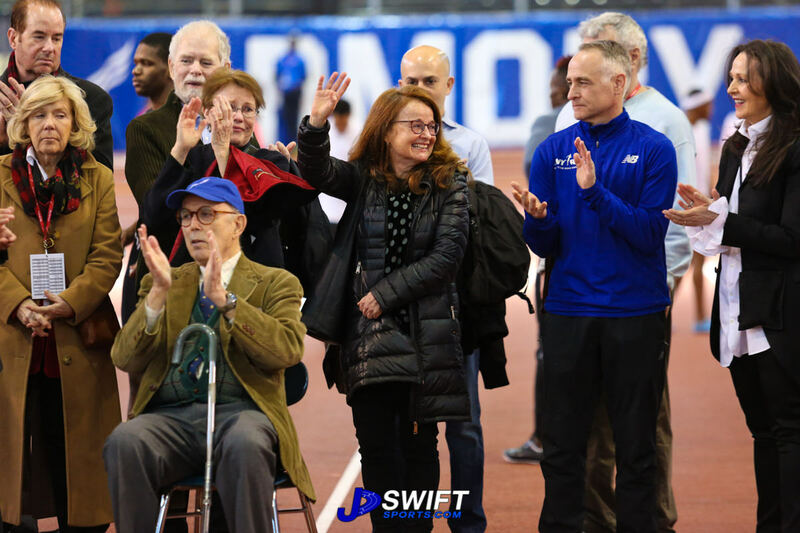 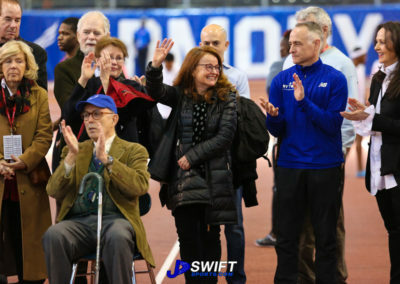 The former Armory Track Invitational was renamed last year in honor of longtime Armory president and founder Dr. Norbert Sander, who passed away in 2017. 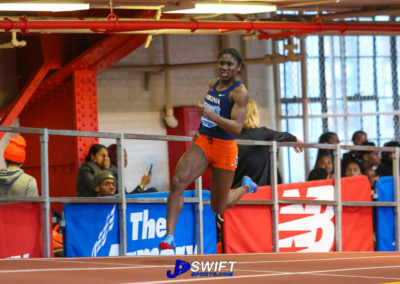 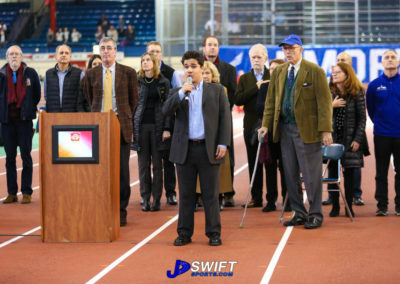 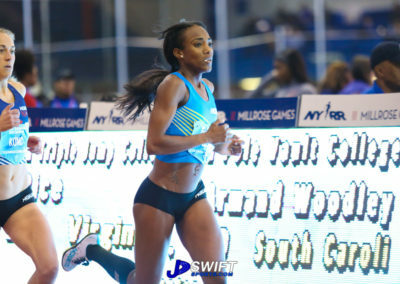 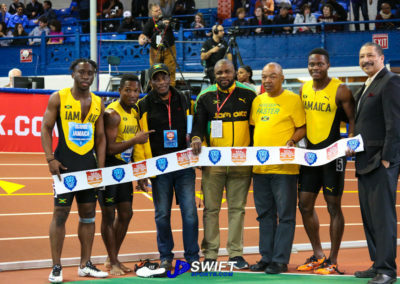 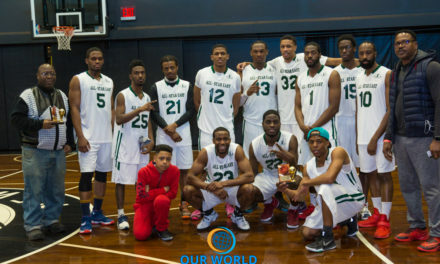 For more meet results from the 2nd annual Dr. Sander Invitational Columbia Challenge please click HERE and go to www.ArmoryTrack.com.